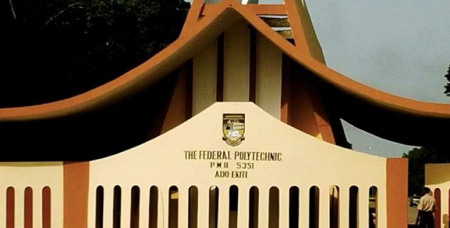 The Federal Polytechnic, Ado Ekiti was today shut indefinitely following a violent protest by students over the death of two of them. Trouble began on the institution’s campus late Friday when two of the students reportedly complained of malaria. The Registrar of the institution, Mrs. Sade Adediran, announced the immediate and indefinite closure of the school. Adediran did not, however, confirm whether any student actually died at the Polytechnic Health Centre. It was gathered from campus sources that the students on learning that their colleagues had died, quickly mobilised themselves, marched to the Health Centre and burnt it down.